"GQ," "Keempee," "Kachupoy"—If you're a ~*true*~ kid of the '90s (a.k.a the best decade ever), just hearing these words will give you a huge dose of nostalgia. Every boy you knew and most likely crushed on had the same hairstyle: some sort of bowl cut with a part right down the middle. Patrick Garcia aka everyone's first crush. 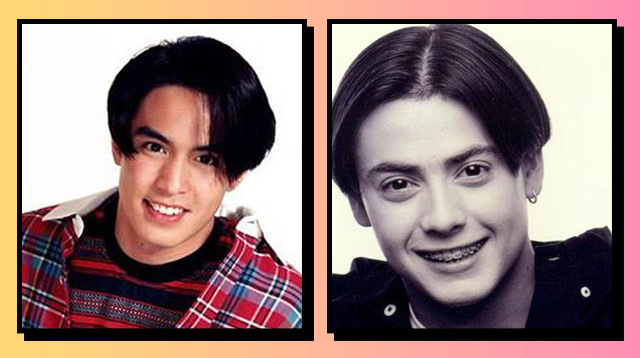 Dino Guevarra, the only boy who made braces look cute. Rico Yan—just because (We KNOW this isn't a kachupoy style, but whatevs!). Onemig Bondoc whose name still makes me LOL: O-NE-MIG! Eric Fructuoso and Danilo Barrios who are the true embodiment of "kilay is life!" And Carlo Aquino, who rocked that bandana like there was no tomorrow.